Hilarious Kleenex review from an overworked, desperate mother. 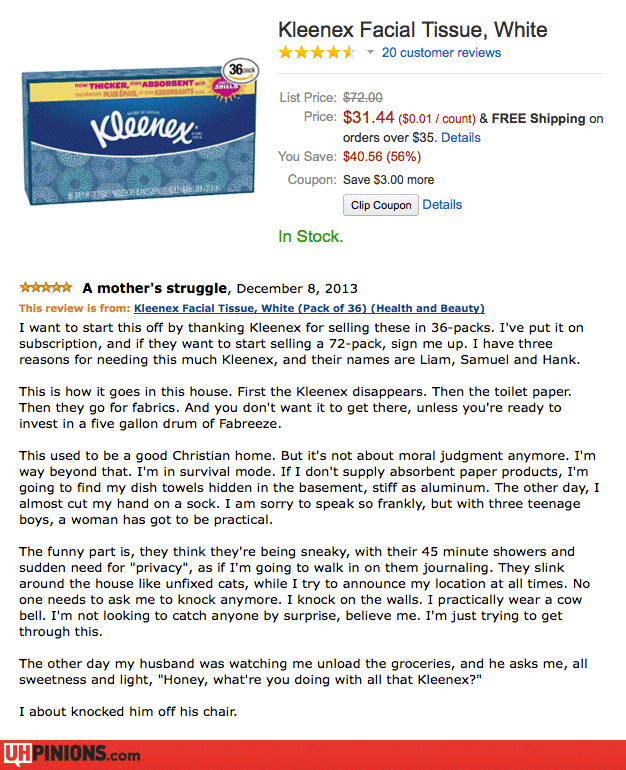 Image | This entry was posted in 2013, Funny and tagged funny amazon review, Kleenex, masturbation. Bookmark the permalink.